Capitalize on the opportunity to learn about thought provoking topics from the perspective of three unique frames of reference. APA Multi-Country: France, Morocco, Senegal provides a tightly woven curriculum expertly designed to create global citizens capable of detailed analysis, research and an understanding of three different and important French speaking worlds. Each course provides an exclusive opportunity to understand historical, economic and cultural topics through multi-disciplinary perspectives. Lead professors meticulously constructed a semester long program divided into 3 equal parts to analyze complex themes across these three locations, taught in French by local and international professors highly regarded in their fields of study. Understanding the difficulty in fully grasping intricate universal themes in one location, APA Multi-Country: France, Morocco, Senegal offers a selection of transversal courses. Each professor uses their expertise to lead their students through a multi-layered course across the three sites by sharing their knowledge in the local context. Assessment is conducted at each site and evaluated by the cohort of professors. 1) Partake in active research and reflection in in Paris, Rabat and Dakar crucial for honing skills needed for most future careers in the global workplace. 3) Possess the ability to express themselves in the French language with greater understanding of its use as a primary and secondary language. Students enroll in four courses for four credits each. For an additional ½ credit, conduct an independent study or undertake research synthesizing a theme studied at the three sites. An interdisciplinary exploration of the major social, political, and economic forces that shaped contemporary France, Morocco, and Senegal. Examine African international migrations from a country of departure (Senegal), a transit country (Morocco), and a major migratory destination (France). Investigate the complex relationship between Islam and politics in the contemporary period from an ideological rather than theological point of view. As one of the world’s major religions and global political influencers, what Islam means to populations in various locations and the place it holds in defining identity and politics differs significantly. Trace the history of the French colonial project from its rise in the 19th century to its demise in the 20th century. This course explores the expansion, management, and disintegration of the empire, as well as the culture and legacies of the empire in France, Morocco, and Senegal. Understand the economic theories and qualitative and quantitative approaches to development to identify the challenges of, and propose models for, sustainable and inclusive development and economic growth. Paris, Rabat, and Dakar are linked by a shared language and story, seen through artistic exchange. Cultural components architecture and urban planning, museology and heritage, and visual arts will each be studied. Classes include site visits to museums and institutions. Study the City through Francophone literature. The urban space plays an essential role; it is both the engine and the object of a thematic route which allows us to discover the literary city juxtaposed with the urban, physical space. Feminism and gender have been shaped by and within colonialism, postcolonialsm, nationalism, and transnationalism. Examine the historical development of feminism and its relationship between gender and race in France and two of its former colonies, Morocco and Senegal. 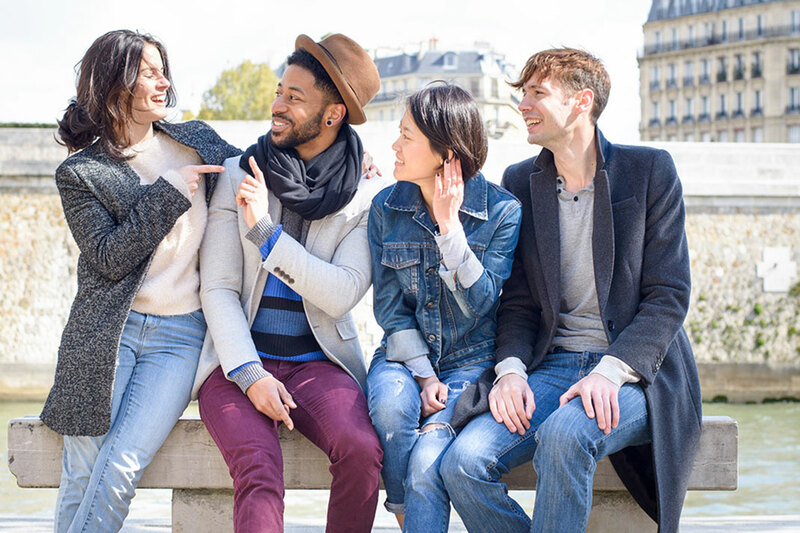 Combine your Multi-Country studies with a semester in Paris. Will your perspective of France have changed since you started your journey in September? Or will you choose to familiarize yourself with your first location at the beginning of your academic year? Each experience, intrinsically different, will impact the other in different ways begging the question, how does one’s environment play a role in one’s thoughts and beliefs?